With 75 million Baby Boomers on the verge of retirement, an average of 10,000 people will turn 65 each day for the next 20 years. Once again, the Boomers by their sheer numbers are fostering changes, rejecting the idea of traditional retirement and are instead changing retirement to suit themselves. Many have put down deep roots and want to stay in their homes, enjoying the lifestyle they have established. Now there is a way they can for much longer through a village movement for seniors. About 100 people turned out for the launch party at the La Costa Valley Club on March 25 to find out about the fledgling North County Village covering Carlsbad and Encinitas. “We are part of the village movement in the U.S. and the world,” Liam Dunfey, one of the board members, said. Dunfey explained that people over 55 who want to age in place in their own homes and environment can stay connected to their community through the village system. It provides socialization, the opportunity to get member recommended services from plumbers to estate planning, handymen, assistance outside their home and the opportunity for transportation by volunteers. “One call does it all,” he said. The North County Village is a nonprofit organization that connects a self-defined quality of life. 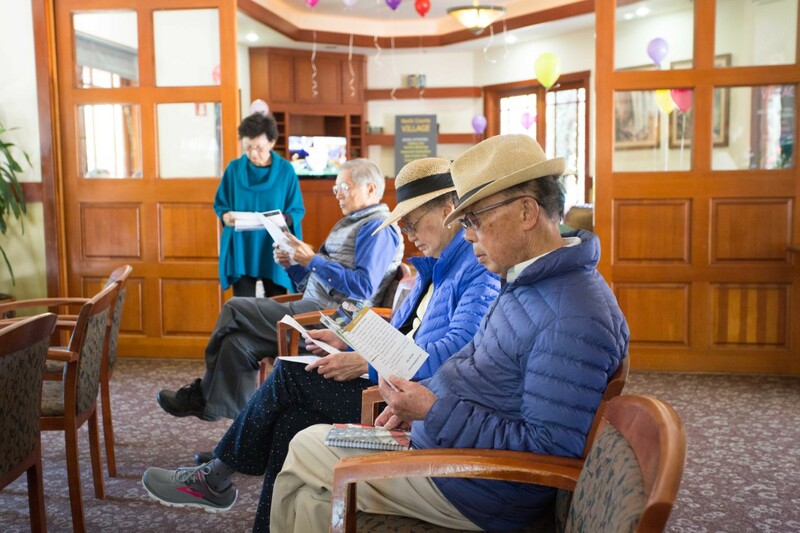 “We provide a supportive network of trusted businesses and volunteers, social activities to foster connection and home assessments to ensure members can live in safety and comfort, but above all we believe our members should have choices that allow them to age on their own terms,” he said. The Carlsbad/Encinitas village has about 10 members so far, but organizers expect that number to rise because of events like the launch party and word-of-mouth from the members. Other villages in the country boast hundreds or thousands of members, Dunfey said. Not only can a person stay at home with just a little assistance, the village offers peace of mind for their adult children and transportation, which is a much-needed service provided by membership in the village. Nadine Bopp of Carlsbad said the reason she came to the party was to learn more about the organization although she is not at “group person.” She said she likes to connect with all generations. Each village is independently operated by its members. “We need to get volunteers and interested parties on board,” Dunfey said. The fee for membership is $600 for a full membership annually and $200 for a social membership. A full membership includes all the perks including transportation and a home evaluation to determine the dangers therein to the senior. A social membership is limited to social events. The fees can be paid yearly or by the month, whichever is more convenient to the member. Each member is given a provider network of vetted providers, Dunfey said. To learn more about the North County Village, call (760) 456-9040 or visit www.ncvillage.org.